Racers Leisure Limited have secured a contract to play ice hockey in Edinburgh and aim to compete under the name ‘Murrayfield Racers’. 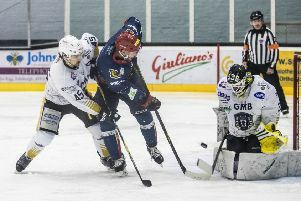 The development looks set to spell the end for Edinburgh Capitals, with the rival group now looking to form a team to compete in the sport’s UK-wide Elite League. Racers Leisure Limited, who include on their board of directors David Hand – the current chairman of the Scottish Ice Hockey Association and brother of Racers and Caps legend Tony Hand MBE – were battling with Cool House Marketing Limited, the new company behind Edinburgh Capitals, for the right to play at Murrayfield Ice Rink after bosses put the ice-time contract out to tender. Following their successful bid, Hand and his fellow board members will now enter into negotiations with the Elite League to obtain a franchise in order to run a team out of Murrayfield. A statement released by Racers Leisure Ltd today read: “Racers Leisure Ltd are delighted to announce they have secured a contract for ice time at Murrayfield Ice Rink for season 2018-19, as the directors of Murrayfield Ice Rink agreed with the vision of Racers Leisure Ltd for the future of ice hockey in Edinburgh. When contacted by the Evening News, the Elite League provided the following statement: “The Elite League have been fully appraised of the situation regarding the Edinburgh Capitals and Murrayfield Ice Rink. Racers Leisure director David Hand said: “This is the decision we hoped for. It has been a team effort, as we presented a robust and sustainable business model with secure financial backing. Hand’s group say they intend to operate the ‘highest level of ice hockey possible next season under the team name of Murrayfield Racers’. The Racers were a dominant team in UK ice hockey between 1966 and 1995, becoming British champions on six occasions. Their last major trophy was the 1993 Benson and Hedges Cup before the team went bust in controversial fashion at the end of the 1994-95 season. Capitals have been tenants at Murrayfield throughout their 20-year history. With no alternative venue in the city, there would appear no future for the outfit. 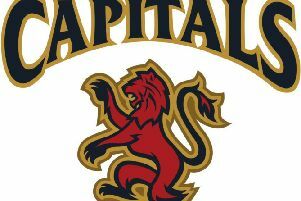 Capitals have just endured a nightmare season which saw former owner Scott Neil’s holding company Capitals Hockey Limited forced into liquidation, and the team pick up just five league wins from their 56 game Elite League season. The club last month announced a new board structure – including fan representation – ahead of next season’s campaign. “What this means for Edinburgh Capitals as a club going forward is yet to be decided at this early stage. More information will be provided as things become clearer. Many ice hockey fans in the city remain concerned that should Racers Leisure Limited fail in their efforts to obtain an Elite League franchise, it would see the end of top-level professional ice hockey in Edinburgh. Asked if he felt the rink’s decision would help move the sport forward in the city, Stirling continued: “It’s possibly a time of uncertainty until the league make a decision whether to accept the option we’ve made. If they don’t, all I can say is there will definitely be ice hockey here in some form or another no matter what, because Murrayfield has a rich history of being associated with the sport.